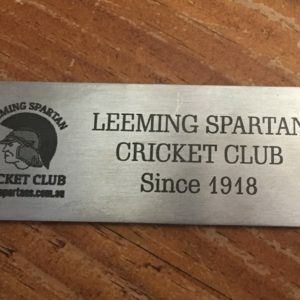 Congratulations to all the winners in our Leeming Spartan Summer Raffle for 2016, in particular Matt McGuire, who took home our top prize – a signed cricket bat by the Australian ODI team! Our first ever Summer Raffle was a hugely successful event, with over 1000 tickets going on sale, raising important funds for the club! See the winners and photos of our prize winners below! 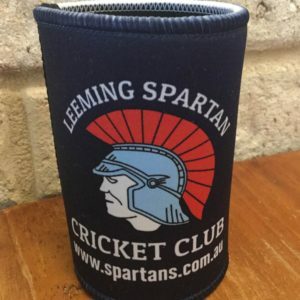 And make sure you are at the club this Thursday for our Spartan Players Tea, which will include more MysteryRaffles™ with some awesome prizes up for grabs! Thank you to our incredible Spartan Sponsors, Bradbury Cricket (2nd Prize), Anytime Fitness O’Connor (4th Prize), and Mooz Mooz Photography (5th Prize) for donating prizes for the Summer Raffle. A special thank you must also go to Club Treasurer Geoff Burgess for orchestrating the Spartan Summer Raffle for 2016. Matt McGuire took home our first prize – a signed cricket bat by the November 2014/15 Australian ODI side. Graeme Ashley took home our third prize – a framed and signed David Warner ‘Australia’s Finest’ poster! Club stalwart Shannon Davies (right) took home our fifth prize, a family photo package thanks to Mooz Mooz!